For filmmaker RS Prasanna, Ratnam's "Iruvar", which was about the relationship between cinema and politics in Tamil Nadu, is his 'Bhagwad Gita' on filmmaking. "I think the kind of filmmaking that was done in the movie was world-class, and it was a biopic that was very different from 'Nayagan' in terms of the narrative style. In 'Iruvar', there was a lot of international influence in terms of shots and angles," Prasanna told. "It was one movie where everything came together so brilliantly. It's such an underrated movie and sadly. it didn't do well at the box office.," he said, and added that it was "Iruvar" that brought him and his debut film's cinematographer Krishnan Vasant together. Mani Ratnam's tryst as film director began with the 1983 project "Pallavi AnuPallavi", and there has been no looking back ever since. He produces most of his films, and has surprisingly, not assisted anyone. Recalling his memorable experience of a Mani Ratnam film, actor Rahul Ravindran said it was his "Nayagan" that sowed his acting seeds. "My earliest memory of falling in love with the medium and actually being conscious and aware that I was falling in love and fascinated with the movies, was when I watched 'Nayagan' as a child," Rahul said. "A part of me changed irrevocably the day I watched it. I didn't realise what it was that fascinated me, but just remember experiencing a sense of heightened excitement... The realization was more subliminal. Now I know that it was perhaps because the film was so searingly original in tone, so unique and new in execution compared to any film I had seen till that point," he added. It was that day, Rahul said, the seeds were sown. He eventually quit a corporate job and came to cinema to try his luck. Sound designer Kunal Rajan said it was Mani Ratnam's "Aayutha Ezhuthu", which had music by AR Rahman, which left a lasting impact on him. "It was such a rich soundtrack with so many layers.... it had a new sound and that got me inspired," Kunal said. For composer K, two Mani Ratnam films that changed his perspective of music were "Nayagan" and "Mounaragam". "'Nayagan' had the most unbelievable music, especially its theme music, and it changed a whole lot of things for me. Even if I heard one line from the album, I could remember the whole scene with the music. Both 'Mounaragam' and 'Nayagan' have influenced my work," K said. He added that the theme music of his Tamil thriller "Yuddham Sei" had a tinge of "Mounaragam". "For a commercial entertainer, I'd say 'Agni Natchathiram' and 'Dhalapathy'. As a romantic drama, 'Roja' blew my mind. For crime or gangster movie, there's 'Nayagan'. And 'Iruvar' for political drama, while 'Anjali' for children and family audiences," Nandhini said. National Award winning editor KL Praveen admits it was "Iruvar" that showed him how a film could be cut in a lot of ways. "I liked his work in collaboration with editor Sreekar Prasad. In 'Alaipayuthey', I loved the way 'Kadhal sadugudu' song was shot in reverse. It was cut so well," Praveen said. "I haven't watched his latest film 'O Kadhal Kanmani'. But I loved the way its promos were cut with city lights in the backdrop. Although it's an old style, but the way Mani sir presents it, it looks really good," he said. Cinematographer Murali says he learnt the art of wide angle shots from "Iruvar". "In this film, Mani sir uses the faces of his characters to express most of the story. He achieved that using close-ups captured through wide lens and everything was shot in 4:3 compositions. It was an experiment, but it worked so well," said Murali, and added that Ratnam's "Mounaragam" was one film that he felt was complete from all perspectives. 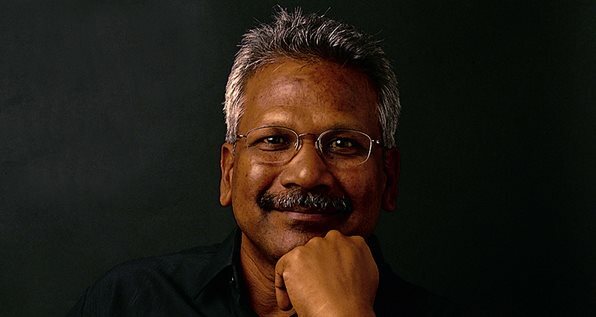 Filmmaker Mysskin admires Mani Ratnam films' for his "aesthetic writing and visual skills".